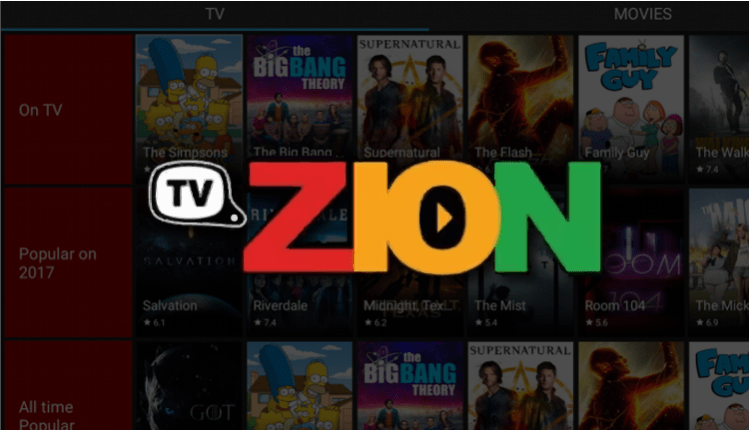 TVZion is a relatively new Movies and TV Shows app that is currently on demand. The app has a lot of content that is presented in a superb way to make the app very organized and user-friendly. You can watch even the latest blockbusters on TVZion without having to deal with obtrusive ads like with some other apps. One unique feature of TVZion is that you won’t have to choose a link for the video you want. The app analyzes all available links and then automatically chooses the healthiest for you. You can however still disable that feature or go back once the playback has started and choose your preferred link. If you like, you can also integrate real-debrid and Trakt.tv within the app, and you’ll be enjoy to enjoy superior quality and track what you watch. This is surely one of the best alternatives for Terrarium TV, and in this guide we’ll show you how to install TVZion streaming application. You can install it on Firestick or Android TV Box to enjoy free, high-quality content on your big screen. As you may have guessed it, nobody would allow you to watch unlimited movies and TV Shows for free and in HD. Well, unless they do not own the content, which means that it’s not legal. Consumption of copyrighted content is illegal, and depending on your country, you can easily land in trouble. Your ISP always keeps all your records when you connect to the internet, and so they always know the websites you access, the files you stream or download, and the internet resources you use. Your activities are usually stored together with your IP address, which is connected to your real identity. You can therefore easily get a DMCA notice or even face legal action for using TVZion or any other unofficial streaming application. Before you start using the app on any device, it’s important that you install a VPN. For streaming, we’d like to recommend IPVanish as its one of the fastest VPNs in 2019. It also keeps zero logs, and so nobody will be able to track your activities. If you have many devices you can protect them all, with one single IPVanish account. To help you get started, we’ve managed to get a [vpn_dicount] exclusive to our readers. Now that you have protected your Internet Identity it’s time to go ahead with this guide on How to Install TVZion Streaming Application and decide where you want to install it: on a Firestick or in an Android TV Box. Since TVZion is a third-party app, it’s not available on the official Amazon Store. We are going to install it from outside the store, and so you need to allow the device to install third-party apps. We now need to download the TVZion app. Remember that Firestick and Fire TV run on a fork of Android, and so we just need the Android apk. To download it, install the Downloader app which is readily available on the Amazon Store. In the URL field of the downloader, enter the URL https://api.zionapp.live/Home/DownloadAndroid and click ‘Download’. TVZion apk will now download. You will then be asked if you want to delete the apk. Select “Delete” to save some space. You’ll be asked to confirm. Select “Delete” once more. Do not open TV Zion yet. From there, jump to the last section of this guide. You can also go to the home screen and scroll down till you see the Apps shortcut option. TVZion should be among the apps. If you wish to move it, just highlight it and select move. If you use an Android box, you can also install TVZion easily. For a start, you need to make sure that your Android box has been permitted to install third-party apps. To do this, go to Settings> Privacy> Unknown Sources and check mark “Allow Unknown Sources.” You will then be able to install TVZion on Android box. You now need a download manager to help download the apk. I’d suggest ES File Explorer since it’s also one of the best File managers. If you haven’t installed it, it’s readily available on Google Play Store. Just open Play Store, search for ES Explorer, and install it. ES Explorer will now give you an option to input the path and name of the file you’d like to download. Enter the URL https://api.zionapp.live/Home/DownloadAndroid and name the file as “TVZion”. Click Enter. The file will now be downloaded. After it’s complete, you’ll get an “Install” option. Click it. Do not open TVZion. Just close ES Explorer and go back to the home screen. You need to hide your activities from your ISP before you can stream anything on TVZion. If you have a reliable VPN, like IPVanish then great! You can connect to a server and then open TVZion. You first need to create an account with IPVanish. You can take advantage of our offer and create one at a discount. From there, download and install the VPN app for your Firestick or the VPN app for Android box. Sign and connect to a server near you for the best performance. Now that you know How to Install TVZion Streaming Application, you can visit our review about other alternative streaming applications. If you liked this article, please share it with all your friends. Enjoy streaming your favorite Movies and TV Shows! Disclaimer! BestDroidPlayer is in no way affiliated to TVZion, and neither do we promote the consumption of illegal content. The information provided here is only meant to be educational, and so you use it at your own risk. To stay safe, always make sure that you use a reliable VPN with third-party streaming apps.